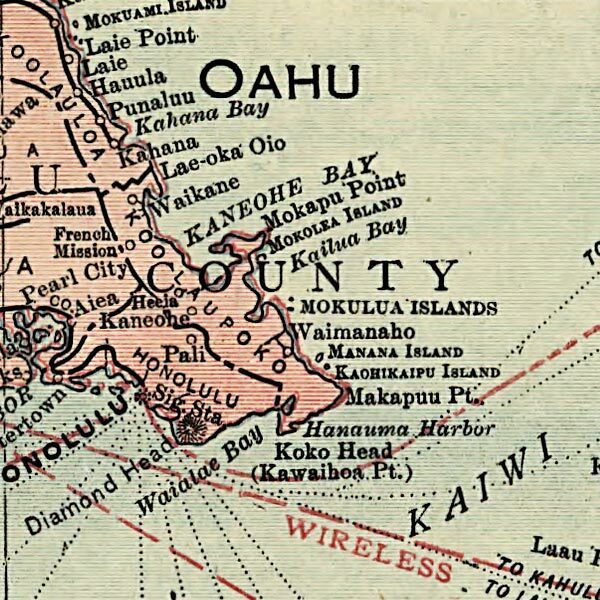 Rand McNally's map of the Islands of Hawaii. From 1912. This Rand McNally map is looking a bit to, well, Rand McNally for me right at this moment. But I'm sure I pulled it because it did something for me at the time, so, here it is. People of Hawaii: I will find you a better map. Your islands are too interesting, cartographically, for me to saddle you with this boring map. My apologies. Thank you! 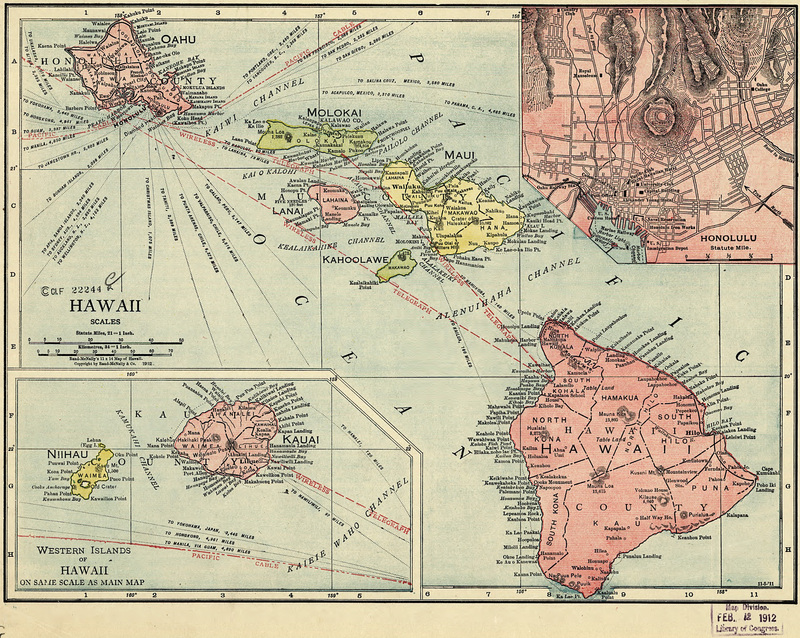 We’d really like an awesome map or two of Hawaii, all we ever see is the old “Sandwich Isles” version. At least this Rand McNally has a lot of info on it, but those colors….